India, 1932. 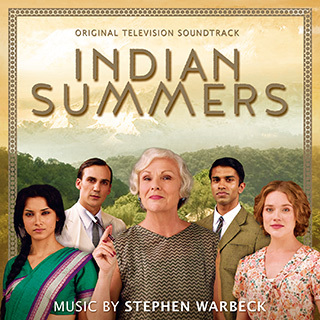 This ten part Sunday night drama hit for Channel 4 set in the British colony of Simla at the foot of the Himalayas, British colonial rule is coming to an end. The place is a hot bed of love, secrets, artists, intriguers, expats and both rich and poor. This multi-cultural drama grabbed audiences from episode one and has been renewed for a second series in 2016. Composer Stephen Warbeck is one of Britain’s most successful composers in film and television, winning the Academy Award in 1999 for Best Original Music with his exquisite score for Shakespeare In Love. Over 100 composer credits in 25 years cover a selection of major film and television titles. They include Prime Suspect, Billy Elliot, Captain Corelli’s Mandolin and Charlotte Gray.